At this point, we've all done more than our fair share of speculation on who the next James Bond will be. However, the one person whose name I thought was off the table at this point was Daniel Craig. He's hardly been shy about expressing his interest in leaving the franchise. 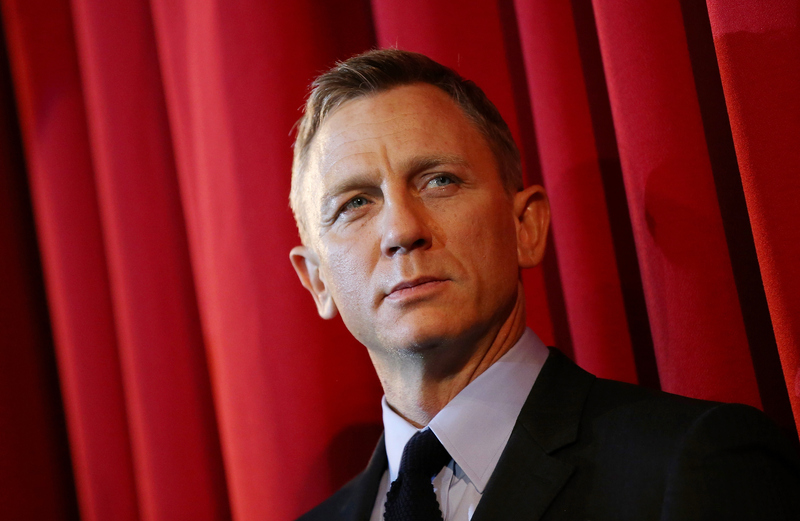 But, despite that, Craig is still the first choice for the next Bond film. Wait, what? For real, guys? I love Craig as much as the next human being with a brain and eyes in their head, but it seems ridiculous to waste this opportunity to consider new talent. Not only are there vast numbers of actors out there who'd have new and interesting takes on this classic character that I'd be thrilled to see, but, unlike Craig, they'd actually be interested in taking on the challenge. I wish I knew. We love Daniel. We would love Daniel to return as Bond. Without any question he is absolutely [series producers] Michael G. Wilson and Barbara Broccoli’s first choice. I know they’re hoping for him to come back. In case that wasn't clear enough for you, Craig followed up that bombshell with another, saying, "If I did another Bond movie, it would only be for the money." His words were later tempered somewhat by director Sam Mendes, who told Deadline that the star was questioned about his future plans at "the wrong time to ask, the day after he’s finished." But, in my opinion, Craig's words are those are the words of a guy who's burned out on this character, making him the last person I would want to see in the role. This is nothing against Craig, by the way. He's already starred in four critically-acclaimed Bond movies Casino Royal, Quantum of Solace, Skyfall, and Spectre, so he's fulfilled his Bond obligations and deserves the chance to move on to projects he's more excited about. He's spent nine years in this franchise, so why not take him at his word and use this opportunity to get some fresh blood in there? Elba is still my top choice, because come on, but hey, we could also get a woman in there for the first female Bond. My point is, there are plenty of people who'd be excited about a new actor picking up the role, and one of them is Daniel Craig himself.